How does the Budget impact big business? 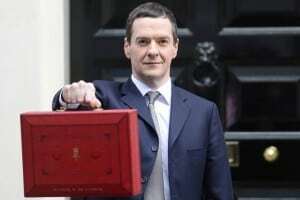 Chancellor of the Exchequer George Osborne yesterday (March 16th) addressed a packed parliament to deliver his annual Budget, and in it he outlined a number of new measures that will impact larger businesses across the UK. From the impending reduction in corporation tax to 17 per cent from 2020, to the freeze on fuel duty that will help to keep transport costs in check for large fleet operators, it was a positive Budget in many of the areas that big businesses are currently facing concerns. Dr Adam Marshall, acting director-general of the British Chambers of Commerce, stated: "Business wanted a steady, workmanlike Budget, and that's what we got. "The chancellor listened to our calls to avoid higher business taxes and costs – and indeed moved to lower them in a number of areas. He has finally taken real action to lessen the crushing burden of business rates, and sharpened incentives for entrepreneurship and investment." Some of the standout announcements that will impact large firms this year and in the years ahead included the aforementioned cut in corporation tax, but other welcome developments were the commitment of funding to further the HS3 transport scheme and the publication of the new Business Tax Roadmap to provide long-term clarification on the government's plans for business taxes to 2020 and beyond. However, one worrying development was the release of new figures from the Office for Budget Responsibility highlighting a lower predicted level of economic growth for the UK both this year and next. Facing the headwinds of turbulence in international markets and a continuing productivity problem in the UK means that big businesses will therefore need all the help they can get if the nation as a whole is to continue on the road to lasting recovery.